Since 1948, Four Winds Growers has been a thriving family business. Founder Floyd Dillon and his son Don Sr. pioneered the cultivation of container-grown citrus. 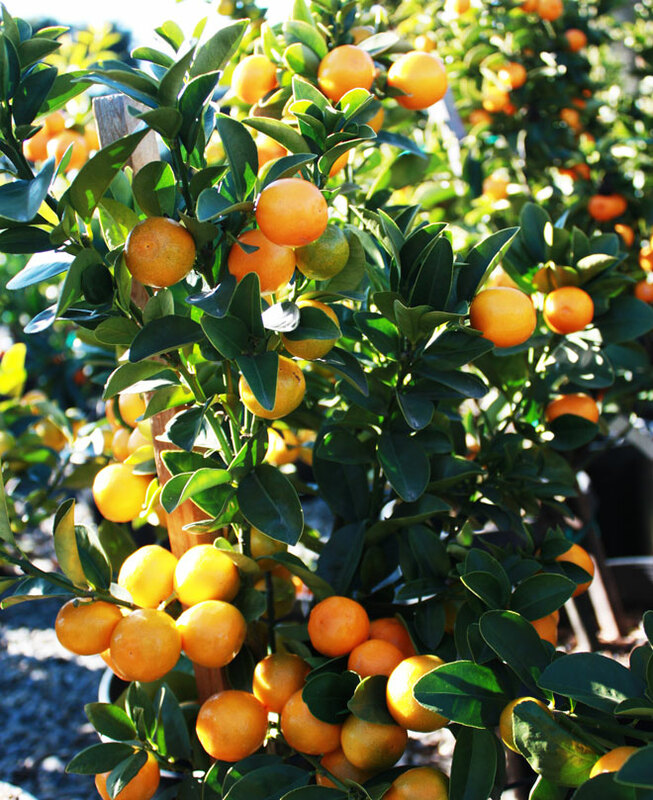 Today, Four Winds is known as California’s premier provider of citrus plants. Aaron and Lexa Dillon, Floyd’s great-grandkids, are proud to take the reins from father Don Dillon Jr. and their aunt Mary Helen Seeger who have steered the nursery for the last 25 years. LEF: Can you provide some family backstory? AD: Four Winds Growers’ founder, Floyd Dillon, was my great-grandfather. Floyd began his career in retail sales in the Midwest where he developed a keen eye for identifying the next hot trend. After moving to California Floyd looked for an espaliered lemon tree to plant in his yard and was surprised to discover that the product didn’t exist. Containerized nursery stock was virtually non-existent in the pre-war era. 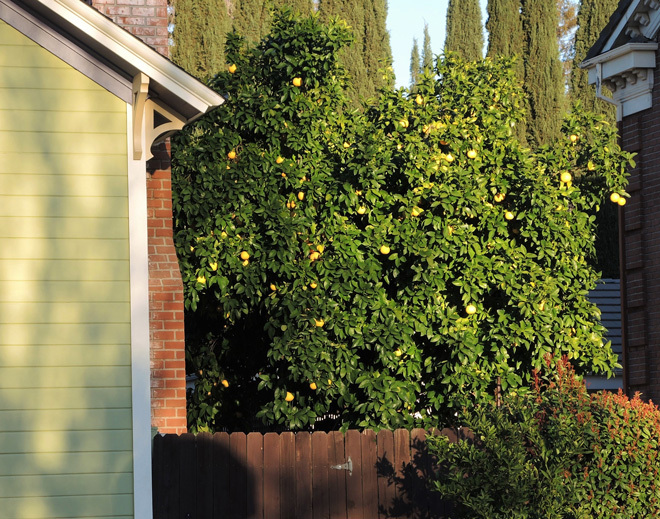 Floyd correctly predicted that demand for citrus trees would boom in California as the post-war generation planted their new suburban backyards. Over the next decade, along with my grandfather, Don Dillon Sr., Floyd experimented with citrus nursery production practices to develop a retail nursery product. In order escape disease pressure and an impending quarantine in Southern California, Floyd and Don moved their fledgling business north. Four Winds settled along the foothills surrounding San Francisco Bay in the area known today as Fremont. The region’s frost-free climate was ideal for citrus production and, equally important, provided access to the growing retail market in the Bay Area. Today the Asian Citrus Psyllid (ACP) pest and Huanglongbing (HLB) disease threatens California citrus. In response to new rules governing citrus nursery stock production Four Winds has again been forced to move. In 2010 we took over an old rose growing operation in Watsonville, where we converted three old greenhouses into modern insect-resistant structures that ensure the nursery stock remains clean. LEF: What should gardeners who want to grow citrus in their gardens consider before planting? AD: Citrus needs heat in order to develop sweet tasting fruit; so finding a warm, sunny location is crucial. My great-grandfather always said to place a citrus tree where the cat takes its nap. Light and heat reflected off the southern side of a house, a fence, or other structure can really make a big difference. Where not enough heat remains a problem, gardeners should focus on growing lemons and limes, tart citrus fruits don’t require as much heat as sweet. Citrus plants require well-drained soil and are susceptible to root problems if they have wet feet. Where drainage is an issue, growing plants in a container is a better way to go and offers the option of moving the tree around to find the optimal sunny location. It also makes it easy to provide cold protection when necessary and helps limit the size of the mature tree for those with small spaces. LEF: Any advice for northern gardeners looking to grow citrus in a cool climate? AD: Orangeries have been used to overwinter citrus going back to the 17th century. And greenhouses are still the easiest way to protect citrus plants from frost and provide the most heat possible when the weather is cool. Once the weather warms up trees can be moved to a sunny location outdoors. If you don’t have a greenhouse, then plan to move your containerized trees indoors in front of a warm sunny window for the winter. Once the weather warms up again, move trees back outdoors into a sunny location. Varieties like ‘Improved Meyer’ lemon, ‘Rangpur’ lime, and calamondin, bloom and fruit throughout the year, offering the possibility of year-round fruit production. Another great option is kaffir lime or Citrus hystrix, citrus varieties primarily used for their leaves in Thai cooking and so may be considered as having year-round production. 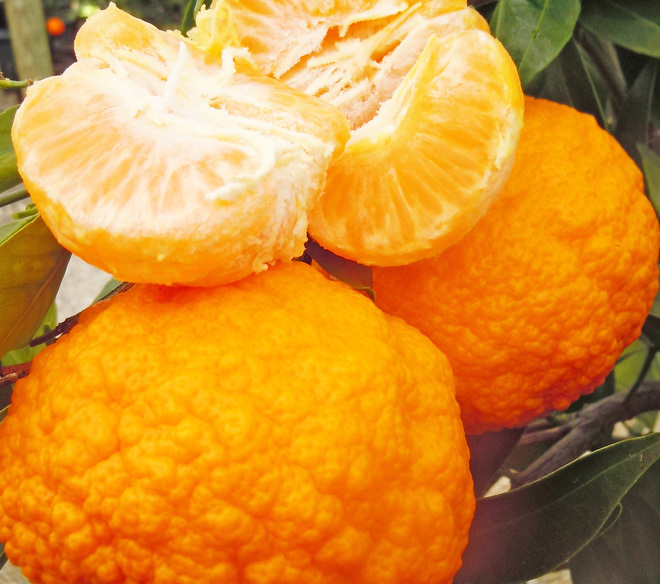 LEF: I’ve seen beautiful ‘Chinotto’ sour orange growing in the Bay Area—any chance I might grow this in my very temperate Seattle garden? AD: ‘Chinotto’ is best known for its distinctive myrtle-leaf foliage and extremely fragrant blooms. In a temperate garden a ‘Chinotto’ sour orange could conceivably do okay; keeping the tree warm throughout the winter is important to help the flowers develop going into spring. Either a greenhouse or the indoor/outdoor approach described above may be necessary in order to get flower set. But once the fruit does form it hangs well on the tree and has the potential to remain attractive for a long period of time. The key will be to find the right microclimate the tree will need to thrive. I learned long ago that if a determined gardener pays attention to a plant’s particular needs, they can make almost anything work with a little effort.